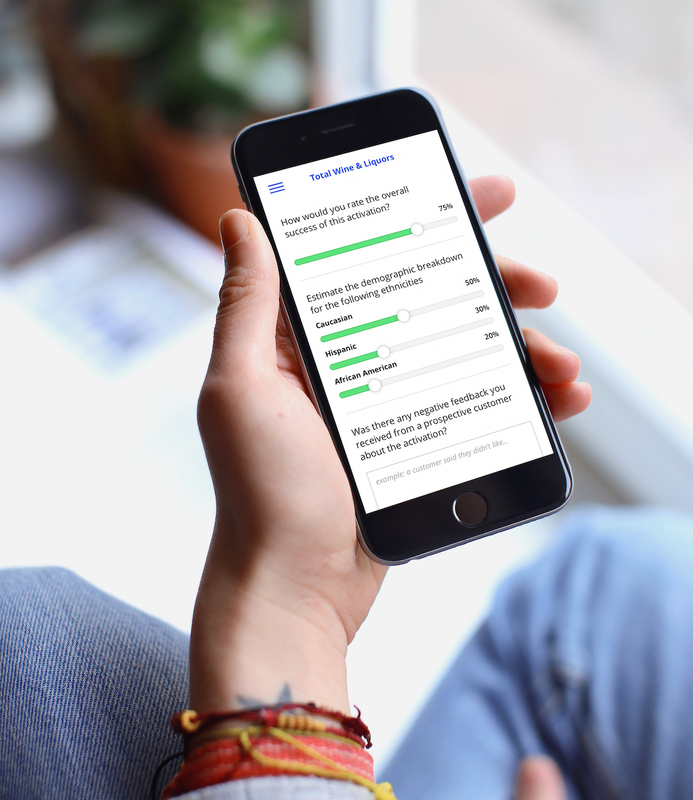 Sampoll helps your staff automatically create event recaps on the go. Generate actionable insights that inform marketing dollars and sales strategies. Know when your promo staff arrives at your event and set them up for success. Track consumer sentiment about featured products along with demographic info. Create valuable insights by asking the right questions and allow staff to respond seamlessly. A picture is worth 1000 words. Capture/upload photos that highlight the most important aspects of your activation. Capture metrics such as sales, samples, and foot traffic to better understand and quantify each event. Allow staff to keep notes relating to training or consumer engagements providing quick access to important information. Automatically create clean, shareable reports or give clients direct access to dive in themselves. 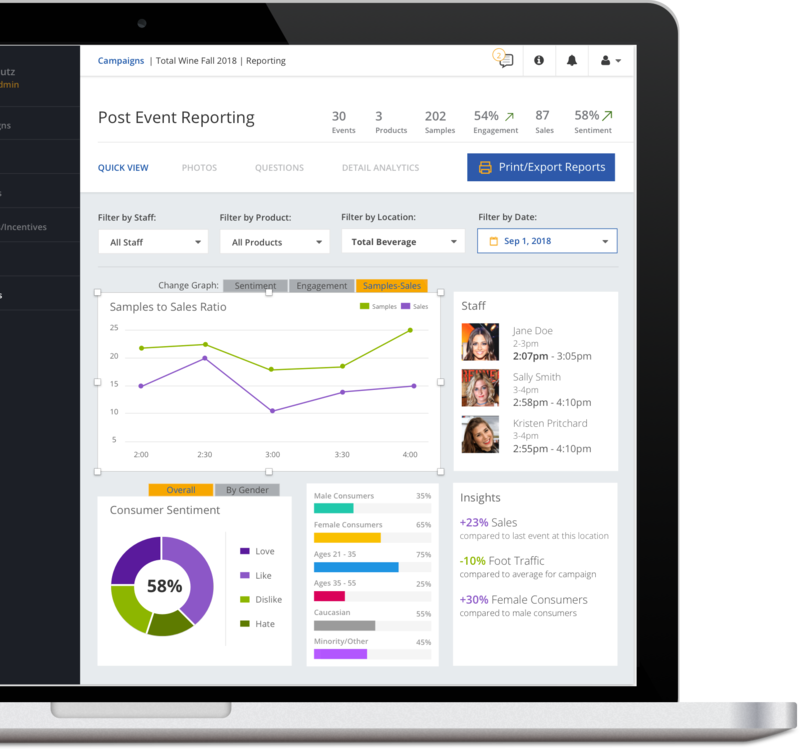 Every data point captured by your event staff is aggregated and reviewable, giving you an unprecedented lens into event performance. Discover trends and better understand your market. Track changes over time and keep tabs on what's working, or what's not. Ready to start something amazing?